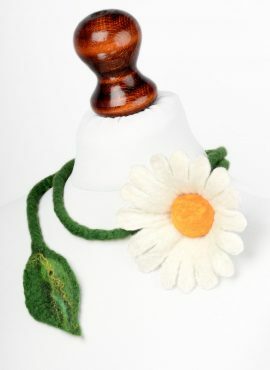 This daisy necklace can be a fresh spring touch on your neckline and can give a bit of folk style to your outfit. 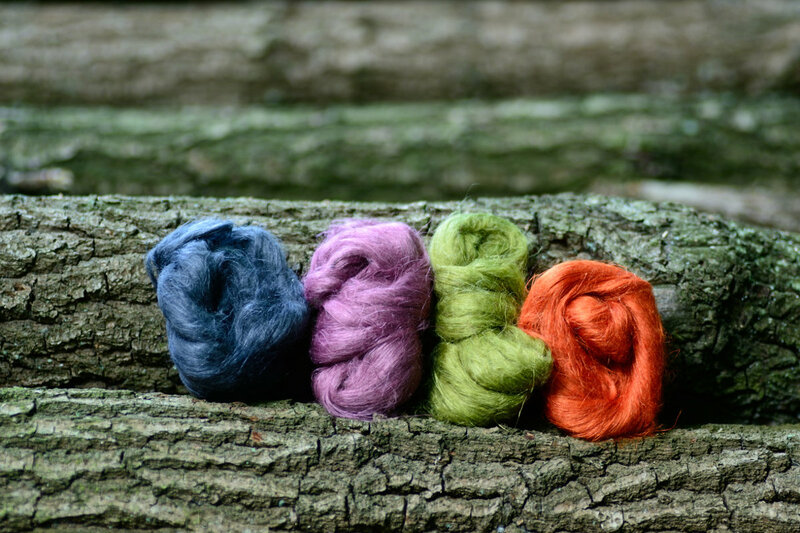 We made it all by hand of natural merino wool. 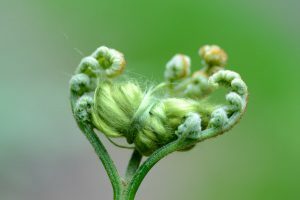 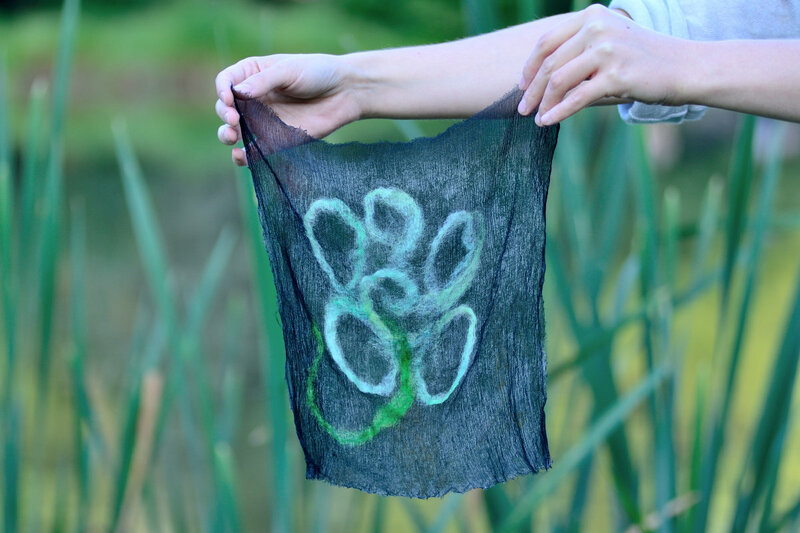 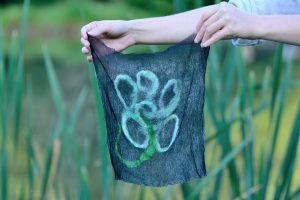 It is very soft and lightweight, so you will barely feel it on your skin. 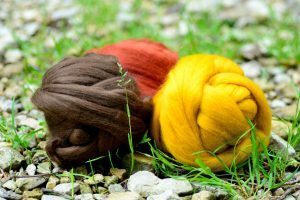 If you feel good in folk designs, you are going to wear it over and over. 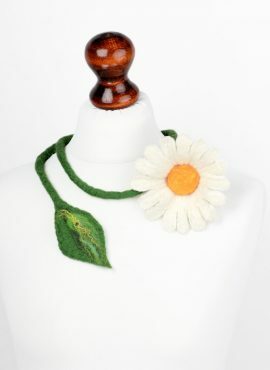 This long felt necklace has a cute felted daisy with yellow center and a small leaf decorated with silk fibers. 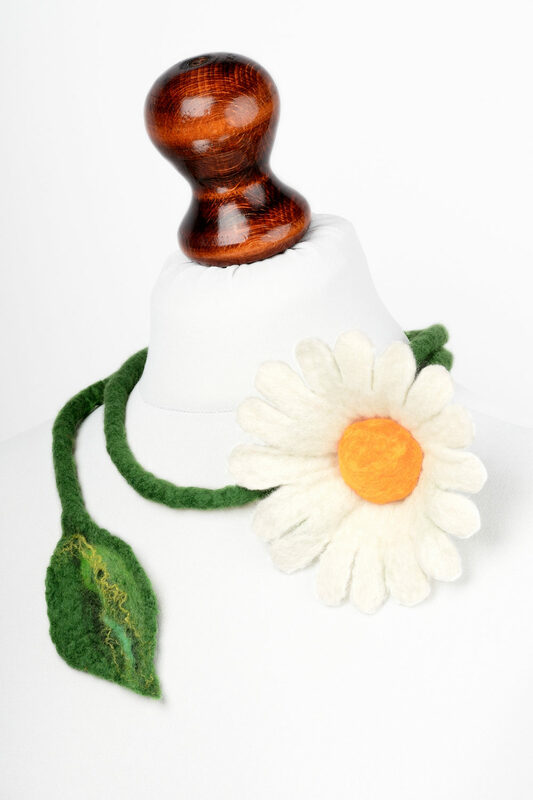 It is designed to wrap it just once around your neck and fits all sizes (if you need it a bit longer to have more styling options, just contact us). 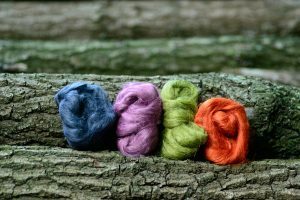 You can combine it with dresses, blouses and sweaters, depending on occasion. 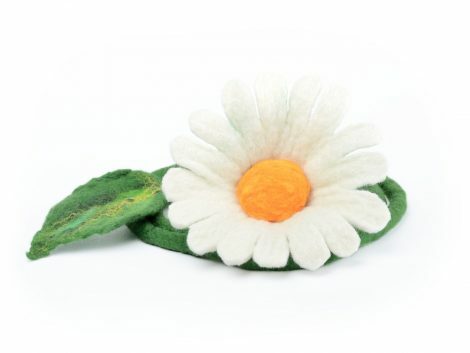 It attracts attention, so be prepared to catch men’s eyes. 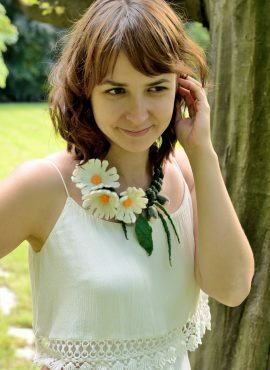 This daisy necklace will be also a perfect gift for every woman who loves folk jewelry, especially if she has a romantic soul. 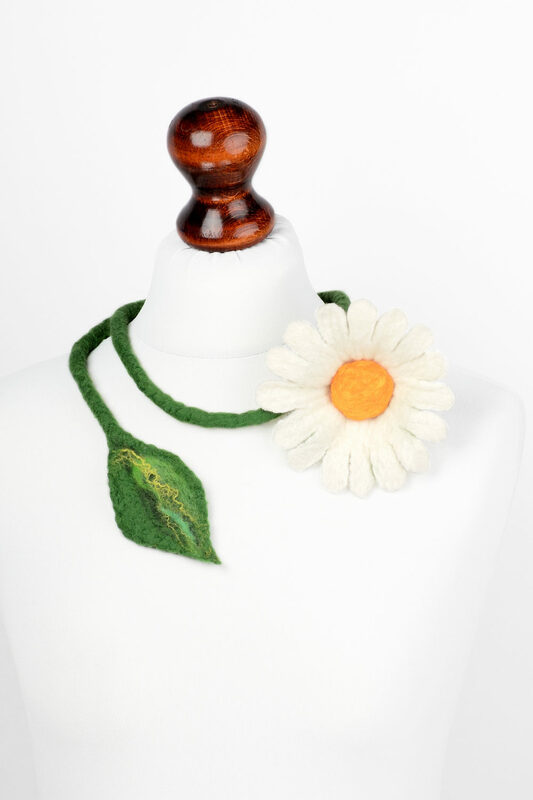 Felt daisy necklace designed to remind you summer days on a meadow. 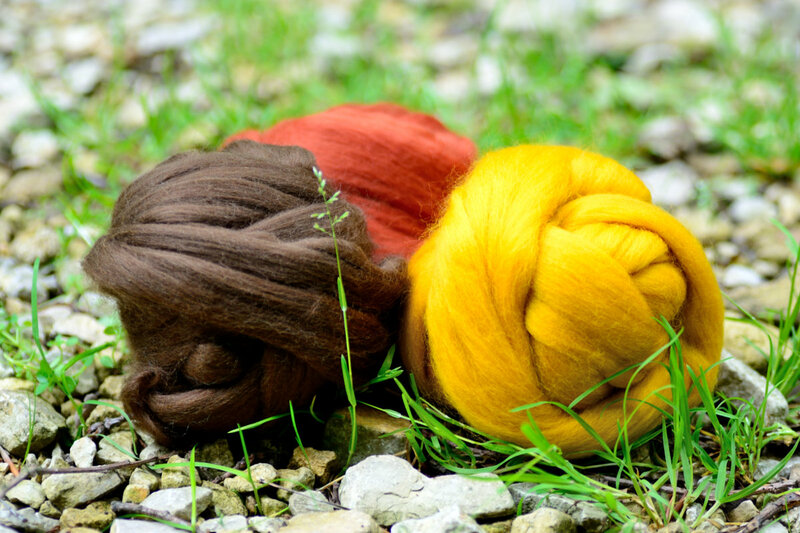 It will make you look beautiful, giving you back that girlish charm of good old days. 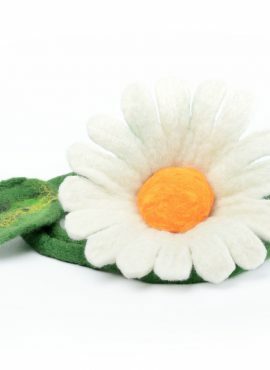 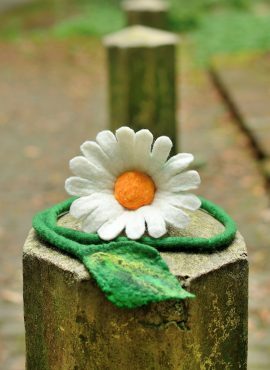 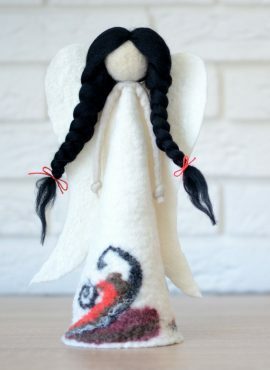 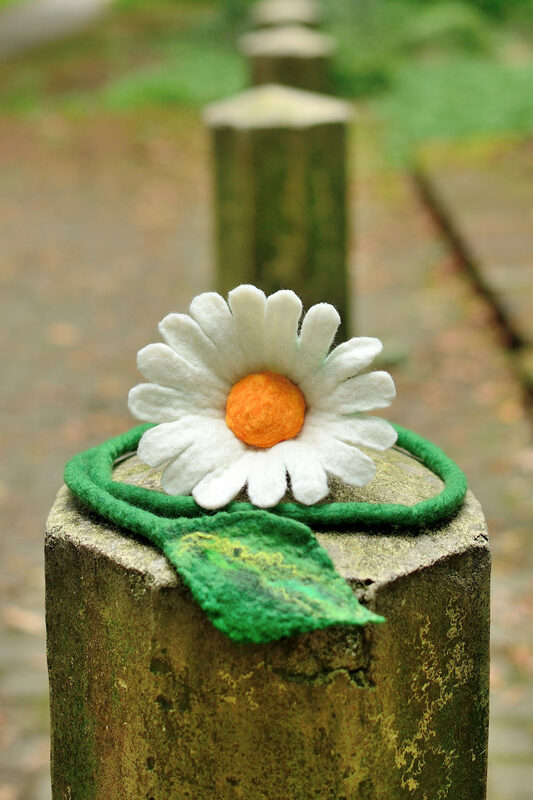 Wet felted brooch with beautiful white daisy on a cute stalk. 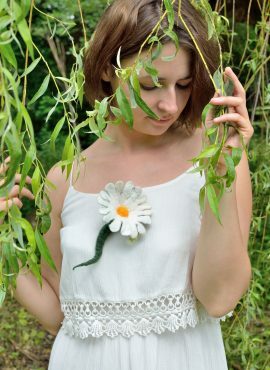 With its meadow design and folk style it is very feminine, fresh and just lovely.